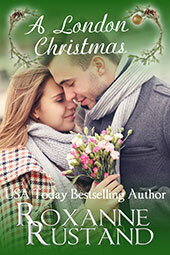 My newest Love Inspired novel, Falling for the Rancher, has just been released. 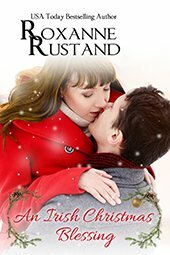 I was so happy to see it at Walmart a few days ago! And it was even more fun to see the similarity between our mare Patsy and the horse on the cover! Though the photo of her (below) is from the side and doesn’t show it, she even had the same blaze! What do you think–is the similarity just wishful thinking on my part? ? Ah, the memories…when I first saw this cover. The years of growing up on the back of my horse when I was little, the years of showing horses (first, at the little local shows, then on to the bigger WSCA, Tri-State and quarter horse show circuits in the Upper Midwest throughout high school and college. Happy days, whether I won or lost, for I was able to do what I loved more than anything. 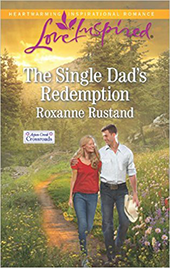 I left college for a while to work for a horse trainer–Monte Forman, for any of you who were around “way back when” and might remember him–and then, after my husband and I married, we began raising horses. 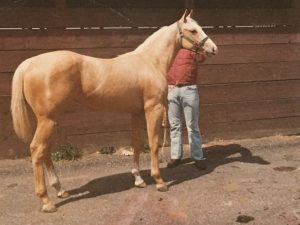 An AQHA palomino yearling in her photo below, Patsy, was an equine airhead ? but she did pretty well at halter in the late 1970’s, and then later, she became a good broodmare. 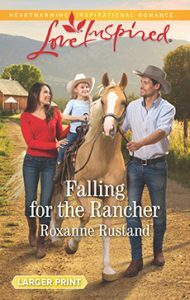 Falling for the Rancher touches on themes that mean a lot to me–overcoming heartache, forgiveness, and the deep importance of a forever family for children who have been orphaned or otherwise abandoned. I was adopted when I was three, and will forever be grateful for my wonderful adoptive family! 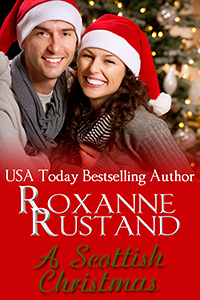 This novel is set in a fictitious small town in the beautiful St. Croix, Wisconsin area that I love, and the hero and heroine are both veterinarians–which meant I was able to incorporate four-footed secondary characters. ?